When you think of security installations for your home, you probably turn straight to security doors. While security doors are a vital addition to the security of any home, they are not the only one. Security screens for windows are equally as important as security doors. 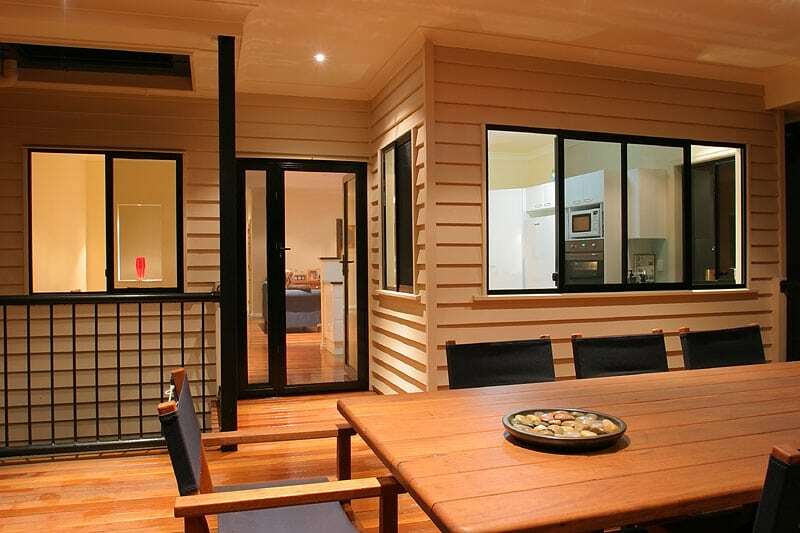 Windows provide a point of entry that is often favoured to a higher extent by potential intruders. In addition to this, windows are often installed with little to no security features as standard. The locking mechanisms are often flimsy and breakable. Furthermore, as they are made of glass, windows can be broken with ease. For these reasons, and more, security screens for windows are a great installation for any home. Below, we have listed five of the most important advantages of security screens for windows. These highlight the diversity of security screens for windows, and their many robust benefits. The clearest and most obvious advantage of security screens for windows is security against intruders. Doors are usually built with security in mind. For the most part, they come with hardwearing locks, solid hinges and a heavyset design. Further to this, many homeowners install additional security screens on their doors. Conversely, however, windows often come with rather flimsy locking mechanisms. They are also made of glass, which means that they can be broken easily. Windows are also a preferred point of entry for many intruders and thieves. The front of your home, where the door is situated, is usually the most visible and well lit. The sides and rear of your home, however, are hidden from the street and often the light as well. This means that any unscrupulous characters are more inclined to attempt to enter your home from these areas. As a result, your windows become a target. With security screens for windows, this will not be an issue. The solid design of the screens prevents intruders breaking through. Consequently, you can have full confidence in the security of your home. Security screens for windows protect against more than theft. Windows are a weak point of your home and they are susceptible to damage from a variety of sources. Storm damage is probably the most common threat to your windows. During periods of high wind, debris can be blown into your home at speed. If this strikes your window, then it is likely to result in significant damage. Likewise, hail – which is relatively frequent in South East Queensland – often smashes windows. This allows rain to enter your home, which can further damage its interior. Security screens for windows create a strong and durable barrier between your windows and the weather outside. This means that you are less likely to sustain damage to your home during wild weather or storms. An alarming number of young children are seriously hurt each year, as a result off accidents that occur around windows. Usually, these accidents happen when children attempt to climb onto a windowsill, or play around windows in the upper storeys of a home. Given that many windows do not come with locking mechanisms, or come with ones that are easily bypassed, they can be hazardous for young children. Security screens for windows can offer a strong degree of protection against these tragic accidents. The screens can be installed in various ways to protect your children from the dangers of playing around heights. They are sturdy and lockable, so that you can lock them with confidence if there is nobody to supervise your children upstairs. Tinted windows are one way to protect your privacy, but many people don’t realise that security screens for windows can have a similar effect. Many security screens for windows are black in colour, which is good for a number of reasons. One of these reasons is privacy. Security screens make it harder for people to see into your home. Contrary to common misconceptions, however, they have no adverse effect on your view or outlook. This means that you can retain your unobstructed views, without having to worry about privacy. Another advantage of this is glare reduction. The security screens can actually reduce direct glare through your windows, thereby making your home more comfortable. For these reasons, among others, security screens are a popular installation in heavily populated areas. Finally, security screens for windows reduce your risk of being targeted by criminals. Intruders and thieves invariably look for homes that appear to be poorly secured. They might look for things like poorly lit areas, ground level windows and back doors as points of entry. In addition to this, they have also been known to target homes that appear to be poorly maintained. This gives them the impression that the owner mightn’t spend a great deal of time at home. They target these areas because they appear to offer the easiest and most risk-averse points of entry. Essentially, criminals know that the longer they spend trying to enter a home, the more likely they are to be caught. By fitting security screens to your windows, you are creating an appearance of security, as well as security itself. This gives your home the appearance of being well maintained and secure. It also highlights the fact that, to gain entry, intruders will need heavy tool and a lot of time. Of course, even with this, they would still be unable to gain entry undetected. With security screens for windows, your house will look like a difficult, risky and unprofitable prospect to any potential intruders. This means that they will probably leave your house alone altogether. If they were to attempt to gain entry, they would find that your security screens are, in fact, impenetrable. This means that they would probably not stay around for very long. Security screens for windows combine durable and robust security with tangible deterrence, to create a high standard of security in your home. For all your security needs for your home, get in touch with the experts at Vincent Security today on (07) 3849 4555. Fantastic product (security shutters). Very professional and knowledgable regarding their products and installation. Highly recommend this company in both product and workmanship. Great communication and the install job was outstanding. Cannot fault. Will be using them again on stage two of our upgrade. Definitely 5 out of 5 stars. Have used Vincent Security for Crim Safe screens at our previous house and current house. They are extremely reliable, professional and accommodating to our needs. We had to do our house in stages which was never an issue for them and everyone from office staff, sales and installers we all so lovely to deal with. I couldn't recommend highly them enough. Good security brings peace of mind, and when the look is improved it’s an added benefit. Beautiful security shutters installed this week - prompt, polite and professional. Great service from measure, quote, remeasure, make and install. Thanks to Michael, Kev and the team. Excellent service right from the first phone call. Matt who installed our screens was fantastic, so friendly, helpful and professional. Definitely recommend this company. Obligation free measure and quote for design, manufacture and installation in the greater Brisbane area. Wholesale accounts welcome. Come and visit us at our showroom.